No longer in use! Sorry! This blog is no longer in use. HAPPY NEW YEAR! Ready to go back to 'class'? Basic Monthly cards class - usually the 2nd Wednesday of the month (but check to make sure) - where we will make 3 cards for $10. There might be an easy technique or sometimes a little "something extra". Don't forget to confirm your attendance as soon as possible (deadline Monday noon before the class) to make sure there are enough kits for all. Go under EVENTS on my site to RSVP or send me an email. I followed the sketch - quite litterally too - found at SSC166 ALL LINED UP. I have not been entering challenges very much lately (still too difficult to work with DBWS) but I do love the ones I can find at Sunday Stamps and at the Watercooler Wednesday Challenge. 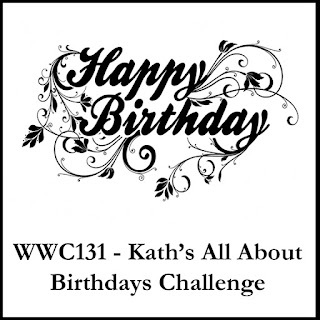 This week at the Watercooler, it's Kath's "All About Christmas" Challenge WWC146. So my card created with the sketch and the theme of the Watercooler fits both requirements. I am working on a second card with the sketch, with a more liberal interpretation and hopefully (having some "technical" issues) I will complete it before their deadline and enter a second card for their challenge. As mentioned this is a very CAS card. I dry embossed the front of a thick Whisper White cardstock with the Holly folder. I then used the Stitched Shapes framelits (the smallest square) to cut 2 pieces of Real Red cardstock and 1 piece of Silver Glimmer Paper and glued directly on the front of the card. Next I adhered 3 circles with the 1" punch (2 Silver 1 red) and then 3 small ornaments punched with the 3/4" punch this time out of the Be Merry DSP that were added with dimensionals. The sentiment is from Santa's Sleigh and is stamped directly on a pice of the same DSP. I coloured some berries in Real Red just to add some interest to the otherwise very white background. Hope you like this simple card and that you will visit both the Watercooler Wednesday Challenge blog and the Sunday Stamps one too. For the latter you still have a few days to enter your own card. So thanks so much for visiting and don't forget to let me know what you think. It is always so nice to read your comments. With the launch of this tool, we’re trying something different: testing a new reservation system. 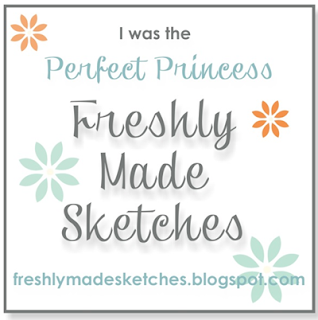 It acts like a true pre-order: you reserve your spot and Stampin’Up! will guarantee shipment as soon as the product arrives in their warehouse. Demonstrators and customers will place reservations and receive their product at the same time. 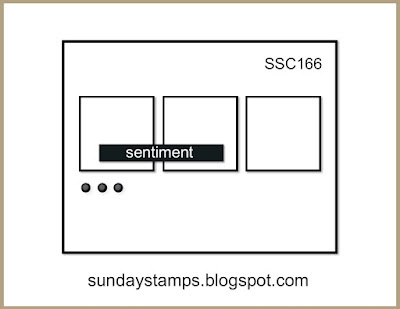 This system will allow Stampin’Up! to get the product to market as soon as possible while avoiding backorders and efficiently managing inventory. If you need help or want even more details, please contact me directly either by email or Private Message on Facebook. If you have not taken advantage of the Designer Series Paper Sale don't wait too long, it ends on October 31st! How can you resist buying 3 packs of DSP and getting a 4th one for FREE. It is a very simple card made mainly with pieces of DSP on the front of the card base. It is then dry embossed with the Holly folder (141634) and you can add rhinestones or other elements to decorate. Inside, the tab/label created with the Lots of Labels framelits (138281) is glued before adding the Whisper White panel (also decorated with a piece of the same DSP). A 1/4" magnet has been added to the inside flap and the front of the card to make sure it remains closed. So as you can see you can easily make beautiful cards with a few pieces of DSP and a little stamping. If you are curious about how the word "Season" was coloured...... there is a class next Thursday October 26! Let me know what you think of this card and come back as I will be featuring other cards made with the various DSP you can choose from to select 3 and get a 4th one totally FREE. There are 13 to choose from and if you go to my online store and hit SHOP NOW you will see on the left hand side just under HOME a heading that says: Buy 3 Get 1 Free DSP Sale. Click on that heading and you will see all the DSPs that are on sale....but only until October 31st...... better hurry! Have a wonderful day. Time for a second walk and enjoy the gorgeous (but windy) day. This is another version of a card I had made for class last week after listening to a video from Linda Cullen where she was showing embossing with a mask, tone on tone i.e. clear embossing powder on Basic Black cardstock. I wanted to experiment with other colours so I used a piece of Early Espresso and for the embossing, I tried with the Copper embossing powder. Quite pleased with the results actually. To me this card has a masculine feel to it with the colours and very few embellishments, leaves and wooden element. 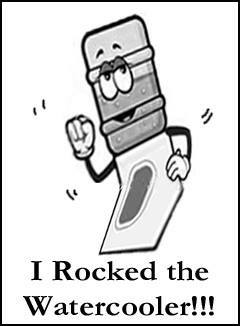 A card you would send to a male friend to let them know that you are thinking of them. Here's a comparison with the other card I first made, which was a complete CASE of Linda's card. Love this embossing idea of using masks instead of stamps to emboss. 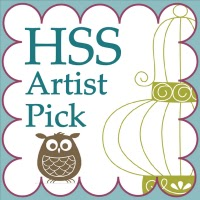 You can see Linda Cullen's original post on her blog at Crafty Stampin by clicking right here. So hop over to the Watercooler and check what the Watercookler artists have created to inspire you!. 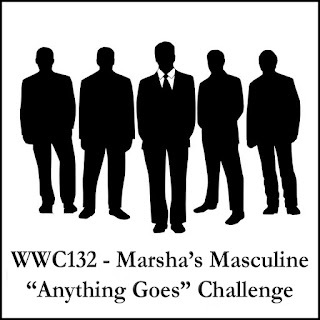 There is plenty of time to enter your own masculine creation for the challenge so check the blog. If you are having a look at my card and the comparison one, let me know what you think. Which one do you like best? This is going to be a super quick entry. Just realized I had not posted this one yet..... so here's the card I want to enter for Marsha's challenge. A very simple, tall and slim (3 " x 6") card that is also a gift card or money holder for a gift to be inserted in the pocket. Here's the banner and you can just click on it to be taken to the blog and see what the artists have created for you to have a look. And as always let me know what you think. I better hurry posting this as there is only one hour left I believe. Go hop over to their blog and see all the entries for this challenge. 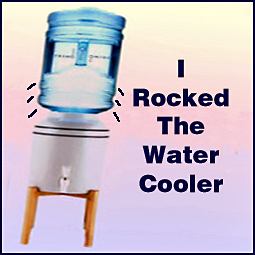 Update: just saw on FB that my card was selected by Judy "to rock the watercooler". Thank you so much Judy! This is the inside of my card, for a birthday wish to a little boy, or a 'tween'. It a fun and easy fold, the corner flip. You can find so many examples on Pinterest. I watched a video from DOstamping and you can find the link below. I hope you enjoyed taking a look at my card today. Don't forget to go over the Watercooler Wednesday blog to be inspired by what the Artists have created fort his challenge and take a peek at all the wonderful entries that have been submitted. There is still time to enter your own card!